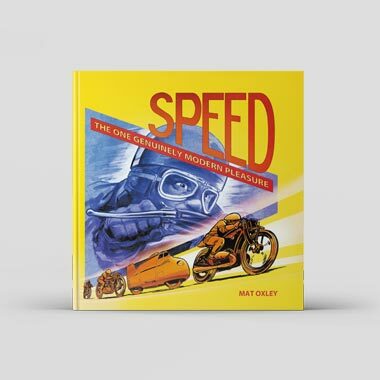 Should surprise be expressed that I reviewed favourably the Rolls-Royce Heritage Trust's book about Army tanks, may I say that the similarity between motor racing and designing a battle tank was quite close. Preparing, for instance, an R-R Merlin or Liberty aero engine for a new challenge, that of repulsing the German Panzers, required specialised technical assistance from several car companies. The book divulges in a most readable fashion how top R-R personnel such as Hives, Robotham and Sidgreaves rose to the many problems. I have no remorse in recommending that you read about motor racing and tank development. 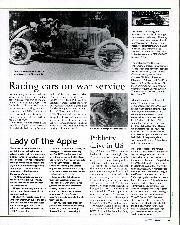 The Measham Trophy in the VSCC's rally of that name on January 29-30 was won by John Potter (1927 12/50 Alvis). The Jeddere-Fisher Award went to John Collins (1930 Riley 9 Monaco), the Richard Longworth Trophy to Steve Lister (1932 Frazer Nash TT Replica). Frazer Nash cars took the team prizes. Best novice was Paul Rogers (1930 Morris Minor saloon) and best newcomer Keith Piper (1932 Aston Martin International). 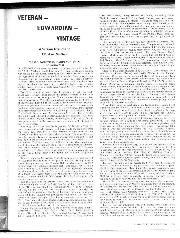 The Bentley Drivers' Club's Review for February contained an enormously valuable feature -- Nobby Clark's notes for the 1929 racing season. 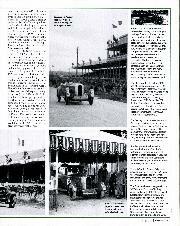 BRDC members will know the inside factors of what befell the Bentleys and how they were prepared, etc. Alan Mallinson contributed this important record. 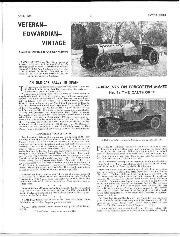 Another piece of historic value appeared in the Alvis Register's Bulletin, also for February, whereby Norman Johnson described in 12 pages the reason for the Alvis Company's 1924 receivership, when incompetence and naivety led to disaster. The Irish Gordon Bennett Rally takes place on June17-19. This is a FIVA event for which entries close on May 16. Regulations and entry forms from John Larkin. Tel +35316605792, evenings. The Science Museum has given to the VMCC some 2-1/2 tons of factory records relating to BSA, Triumph, Ariel, Norton, New Hudson, Sunbeam and Douglas machines and JAP engines from 1922 to 1972. The VMCC took this valuable collection from London to its Staffordshire headquarters in a large van to be eventually indexed. 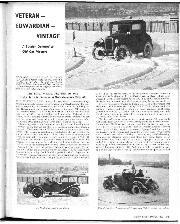 One wonders whether similar car material might be of use to the VSCC? 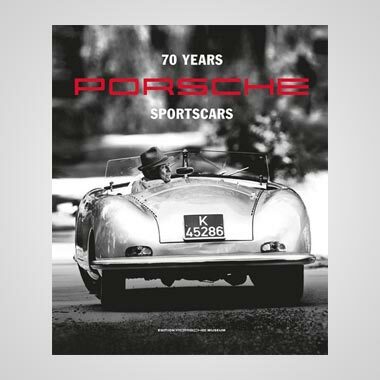 We published the wrong phone number in the item about the Singer cars centenary last month. Three days of events culminate on August 14 at Stoneleigh Abbey, where a diverse display will celebrate the whole range of Singer vehicles from cars to tractors. Contact event coordinator Richard Wheatland on 01293 885 430, between 7-9 pm. 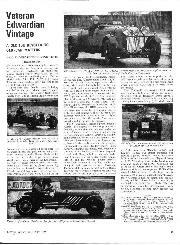 The challenging VSCC Exmoor Trial on February 19 presented 103 starters with 13 sections to conquer. 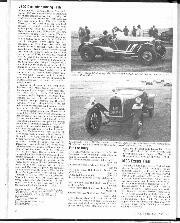 First Class Awards were won by Roger Collings (3-litre Bentley), Jonathan Miller (Chrysler 66), Patrick Blakeney-Edwards (30/98 Vauxhall), David Dye (Austin 7), Kraig Mycock (Austin 7), Miss Northwood (GN), Geraint Owen (Morris-JAP), Keith Dobinson (Austin 7), Brian Emerson (Ford A) and John Fort (Austin 7). All credit to Autocar for its recent guide to F1 racing before the commencement of the 2005 season. 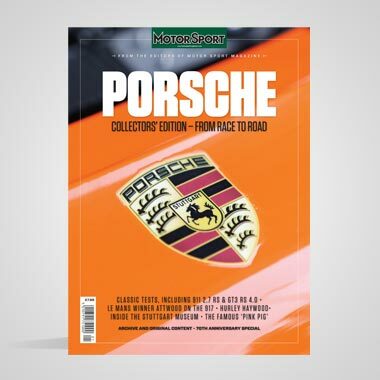 It was notably comprehensive about the cars, their engine layouts and colours, with illustrations of each, notes on the drivers, their helmet identification, their places of birth, where they live and ages. But I have never read about how the F1 teams are transported to the circuits, for example over the oceans. If this is ever dealt with perhaps we could also be told about the private jets and yachts owned by some of the drivers and racing team owners. I hear that replicas of the famous roller notes used by Denis Jenkinson to help him navigate for Moss on that memorable, never-matched victory for Mercedes-Benz at 97.96mph in the 1955 Mille Miglia are to be reproduced by Crosthwaite & Gardiner and sold by Sir Stirling Moss OBE. It will reproduce the original even to the Sellotaping of the 15ft 6in of route instructions with DSJ's magic symbols. A chance to recall that epic race, even if the original roller notes remain truly historic. Louis Klemantaski used a similar method when he went in Peter Collins's Ferrari to finish second in the 1956 Mille Miglia. In his stupendous book Klemantaski Himself (Palawan 1996) there is a picture of the roller-case made for him by the coachbuilder Scaglietti. In the text he says that for the 1956 Mille Miglia his long roll of paper had got to six metres, so he may have used it in earlier races.